L’Infime & Creation 2018: Première Impression – O’Reilly Theatre – Review by Frank L.
Wednesday 29th November at the O’Reilly Theatre, Dublin. Compagnie Nacera Belaza is a French/Algerian dance company. The first piece “L’Infime” is a solo work by Nacera Belaza. As the piece begins, it is almost impossible in the Stygian dark to discern anything much. But the eyes want to perceive something and gradually, very slowly, a human shape can be discerned moving slightly. However, although the figure moves within the same spot the eyes create an illusion that it has moved imperceptibly nearer. The movements of the body gradually become mesmeric and the musical score seems to create sounds such as wind and rain of different intensities. All the sensations are heightened by the subtle lighting. Belaza concentrates your vision. It is followed seamlessly by “Creation 2018 – Première Impression” which is a collaboration between Corp_Real, Galway Dance Days, Irish Modern Dance Theatre and Compagnie Nacera Belaza and is for six dancers including Belaza. It was performed by four female and two male dancers of various nationalities. Again, the sound and the lighting added to the performance as they at all times were in harmony with the movement. The music was mainly tribal drums and beats layered in unusual forms. For the most part, it was a single individual who moved their limbs seemingly irregularly at great speed. At other times there were a pair of dancers and then there was a remarkable sequence towards the end when all six moved apparently at random. Obviously there was nothing arbitrary about this motion given the precision with which each avoided the others. It was entrancing. The set contained no colour, nor did the costumes which appeared to be a dull grey. But these performances which lasted approximately three quarters of an hour in total made a strong visual impression. Light played a large part in both works. The dancers came from the darkness and descended back into it once their movement ceased. The dim light played tricks on your eyes, making you unsure what you are witnessing. It demanded your full attention to discern the creatures lurking in the half light. This collaboration between the three Irish organisations and the Nacera Belaza company is much to be welcomed and hopefully further collaborations will occur. Having such artists visit our shores will add to the contemporary dance scene in Ireland in many ways. 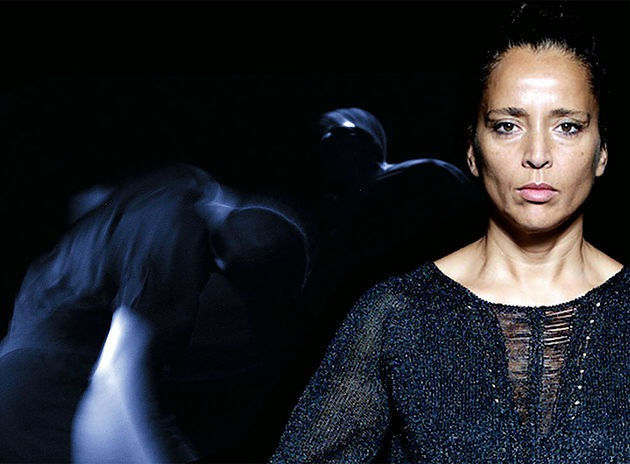 You can find out more about Compagnie Nacera Belaza here.